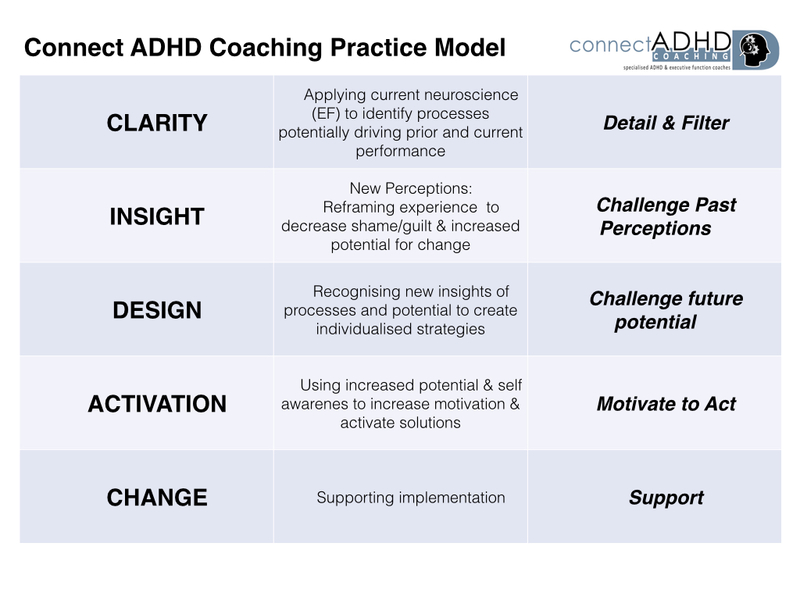 At Connect ADHD Coaching we partner with clients to achieve change, either independent of or in combination with other treatments. Our coaches, Monica Hassall & Jonathan Hassall, have health profession and specialised ADHD health backgrounds including completing Advanced ADHD Coaching training at the ADD Coach Academy, the only ADHD Coaching training group accredited with the International Coach Federation. Jonathan also held roles as the Clinical Research Scientist and lead medical advisor for ADHD in the pharmaceutical industry prior to creating the coaching practice with Monica. In these roles he delivered medical education to health professionals in Australia and New Zealand regarding ADHD across the lifespan and including the role of various treatment options include medications, coaching, cognitive behavioural therapy, and patient education. Both are also active in the national and international ADHD treatment community, holding memberships in national professional groups, international coaching organisations, and local, national and international professional peer and cross functional health professional review groups. As a practice, we are committed to furthering clinical insight and understanding of ADHD and Executive Function issues, through greater collaboration with clients, their families, and other health professionals.